We’re excited to make life even easier for all of you music fans out there, with the launch of our new Annual Premium subscription. You can find more details on our Offers Page. It offers Freemium users the first year for the price of 10 months Premium through a one-time payment. Pay once during the first year to become a premium subscriber. Freemium users only for now. We’re talking to our payment team whether this could apply to existing Premium users, and will keep you posted if things change. Big thanks to the community who suggested the yearly plan on our Ideas & Account sub-forum! to @Jordaan.Family for creating a "Yearly Premium + offer" post and @KingPrince and all of those who voted for this idea! so I'm guessing as a premium user you could always let it expire and then pay for an annual premium (as a work around for the premium users?) ? You are right, if an user want to subscribe to the annual subscription, they have to cancel or let it expire their current subscription, wait until their account turns back to free and then subscribe again. Same way around. Any plans to introduce the annual subscription to the family plan? Hi, how can I change the account type to be annual/HiFi? There is no option? The renewal of my Deezer HiFi is shortly due. It appears that no discount is being offered for an annual renewal. If this is the case, how can I change my subscription to monthly payment? Hi @tdawe , @Hilltrekker, we have this LIMITED HiFi - Sonos offer here. When you click to subscribe you can see the annual option. It's the same one, but it might appear differently, depending on you current subscription. That worked! Thanks @Rafael. @Rob Igo ! Thanks @Rafael. I have now renewed my subscription taking advantage of the offer. thanks for letting us know! Have fun! Hi, please I want to cancel my subscription to the Premium plan then when my account reverts to Freemium, I'll subscribe for the annual plan. What will happen to all my offline downloads once my account switches to Freemium before I make the jump to annual premium plan? I am on the monthly subscription but i want to subscribe for an annual plan but everytime i try to do that it keeps telling me i am already subscribed. So my account just expired but I'm unable to subscribe to the annual plan. One funny thing is that when I'm logged in on PC. 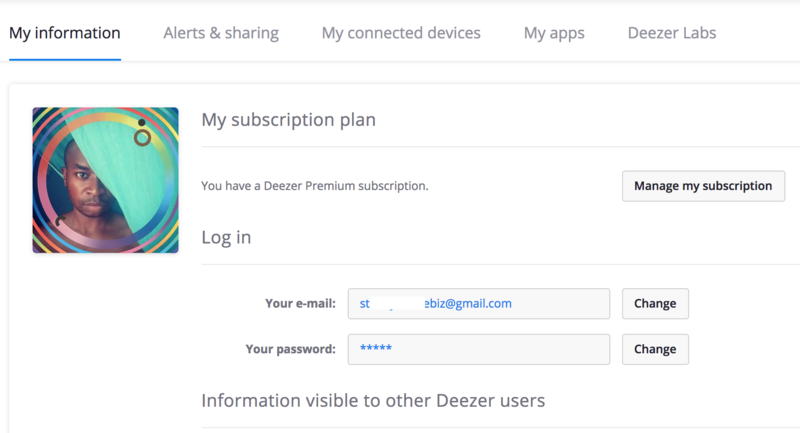 the settings page shows that I have active Deezer Premium subscription but when I click on manage my subscription, it shows that I'm on the free service. @eddie30 You need to cancel your current subscription first and wait for it to end and your account to be downgraded to free. 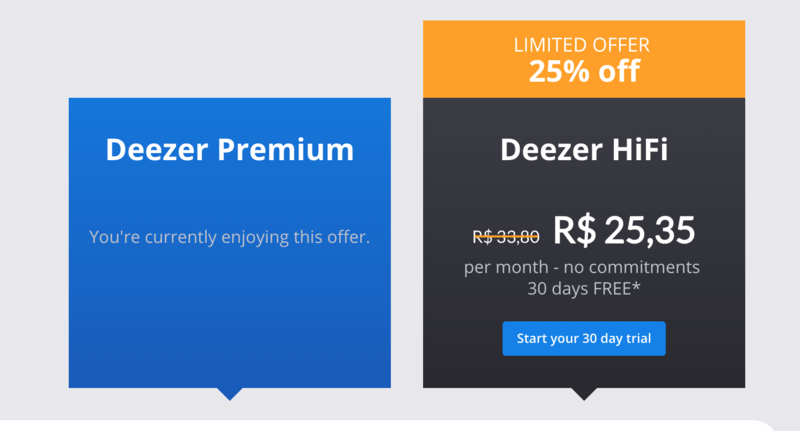 Afterwards you can subscribe to the annual plan Please note that there is no annual plan for the Family subscription, but only for Deezer Premium. Shame they don`t do annual subscription for family. I have just signed up with Amazon music unlimited as I can pay that yearly. Deezer! you should listen what what lots of people are asking for and provide annual plans for family. I pay the $11.99 per month for a premium subscription but would like to take up on the Annual subscription to save a few $$. The option is not available to me as it says 'you are already a premium subscriber'. What should I do? What is the annual subscription in Australia and how do I pay one time annual membership? @vineetsagar I merged your post into this topic. On the first post you will find the link where you can see how much it is in Australia. Also as mentioned there, you will need to have a free account, meaning cancel your current subscription first.